Save the Children is on the ground in Jordan and in Lebanon helping to keep children safe, providing the basics they need, like food and blankets and offering programs to help them cope with tragedy. But the numbers of children escaping the violence are rising every day. You can yield new hope to children who have lost their home. Donate or Sign the Petition! As Syria's civil war intensifies, innocent children are being caught in the firing line. Thousands have died in brutal attacks; many more have been severely injured or forced to flee their homes. Their lives are being torn apart as they experience and witness first-hand things no child should ever see. Arriving frightened and hungry in refugee camps in border countries, they urgently need your help. We are working on the borders of Syria helping children fleeing the devastation. We’re shocked by their first-hand accounts of violence. 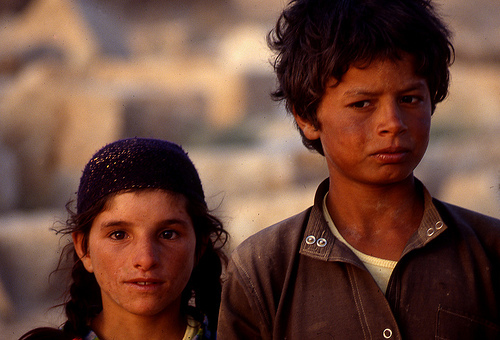 For any child to be harmed in conflict – intentionally or indiscriminately – is a crime that demands urgent response. The violence must stop. We are determined that the world hears the voices of these children and learns the truth about their suffering. We must make sure children in war zones are protected, that aid agencies can reach them with the help they urgently need, and that justice for children is served. Governments will be meeting in New York between October 17th-19th to discuss children's rights at the United Nations General Assembly. Save the Children is calling for stringent monitoring and recording of every crime against the children of Syria, and to hold their perpetrators to account. We will present a petition to UN Secretary-General Ban Ki-moon’s Special Representative on Children and Armed Conflict on October 17th to influence these discussions.